Nerstane has used three Breeding Objective Indexes in our 40 plus years of breeding. We have just finished a review of the flock’s breeding objective and as a result, have established a fourth index. Selection based on an index of all traits in the breeding objective has been proven to be the most efficient selection system. Index selection simply means that the various traits of a sheep that are part of the breeding objective are combined with a consistent weighting of importance in order to determine the overall value of the sheep to the breeding program. 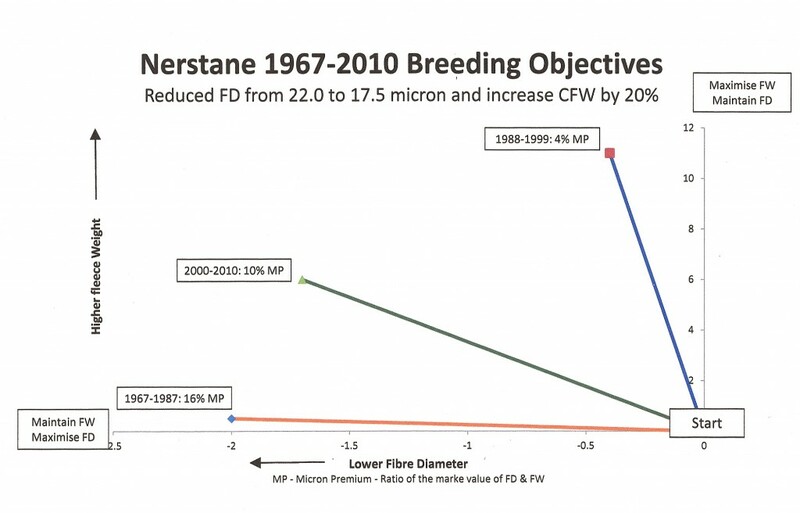 At Nerstane, traits that are objectively measured or scored are combined in a calculated index value while other traits, such as conformation and fleece rot incidence are scored and considered at classing. 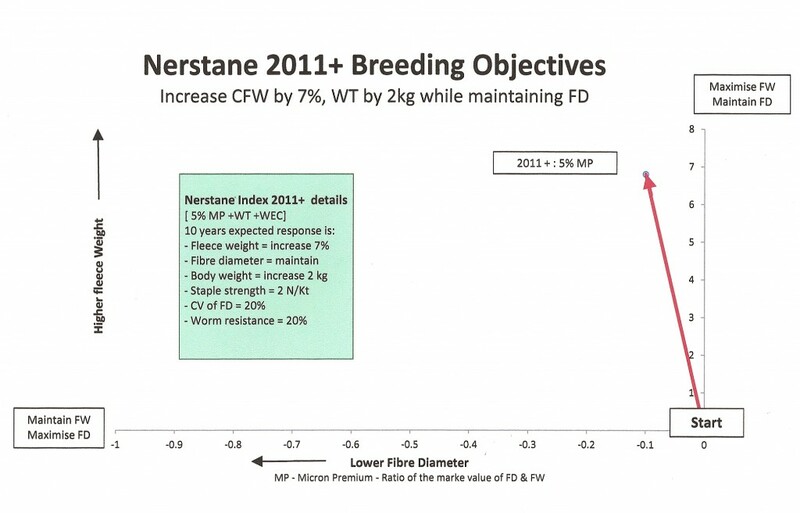 The last two indexes Nerstane has used have incorporated Worm Egg Count (WEC) into the index. Following careful consideration the Nerstane personalised index for measured and scored traits has been updated in line with the long term market trends that are affecting Nerstane clients. The visual wool quality score has been incorporated into the index to ensure that important wool quality traits that are not measured are fully considered in our selection process. The graph below shows the three indexes that Nerstane has used in the past and have been able to achieve if not outperform the predicted gains. 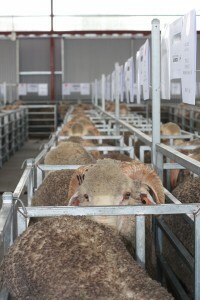 In making the final selection decision for both ewes and rams, index rank is used as the starting point. The decision to select or cull the animals will depend on their index rank and their ability to meet the stringent structural and soundness standards set by Nerstane to ensure the functionality of rams and their progeny. Our recent review and update of the Nerstane index has increased emphasis on wool cut and body weight to achieve considerable gains in both these traits – an additional 7% in adult clean fleece weight and 2kg of bodyweight at 10 months of age.The emphasis on bodyweight will increase early age weight gain while at the same time maintain as much as possible adult ewe body weights. After the last 10 years of high emphasis to reduce fibre diameter that has resulted in a 1.5 micron reduction in clients clips, our emphasis on fibre diameter has been adjusted to a level that will maintain or slightly improve current performance. This will require a significant emphasis to overcome the natural tendency for Merinos to increase fibre diameter when they are selected for increased fleece weight and body weight. Emphasis on staple strength, CV and WEC will be continued to allow Nerstane clients to improve wool returns and reduce costs associated fly and worm control. The graph below show the expected gain for fleece weight and fibre diameter and list the gain in other traits in the index.